It’s almost the weekend and it’s been two weeks since we talked to you all! As with Swedish tradition, the snow quickly came and went here in Skövde. The weather seems unable to decide if we deserve snow, rain, sunshine or a slippery mix of slush and ice, so we got everything in the span of a couple of days. But it’s okay, we view it as an adventure! Anyhow, let’s get into what’s been going on in the Raft workshop. As we venture further into the winter, testing the game is still on the top of our priority list. During the past two weeks we’ve had two play test sessions here at the office, and it’s been great for us. Each time we find new things that can be tweaked and changed in order to improve the experience, so we take a couple of days or a week to address as many of these issues as possible before the next play test. Of course, a week is not a whole lot of time to do any huge changes, but it’s surprising what a couple of small tweaks and some smaller code or art related additions can do to greatly improve the game play. With each play test we see the game getting better which both shows us we’re going in the right direction and provides a huge motivational boost! A trophy worthy of your struggle! If you’ve played the prototype you’re familiar with the shark… It’s always lurking in the waters, waiting for the opportunity to strike. The shark has no preference. Wood or flesh, it hungers for both in its quest to end your survival. But you fight, you persevere to protect your home and your life. You might even manage to take the shark down and end its reign of terror. If so, you deserve a reward, something to display your victory! You’ve been asking for it, and it’s finally here! 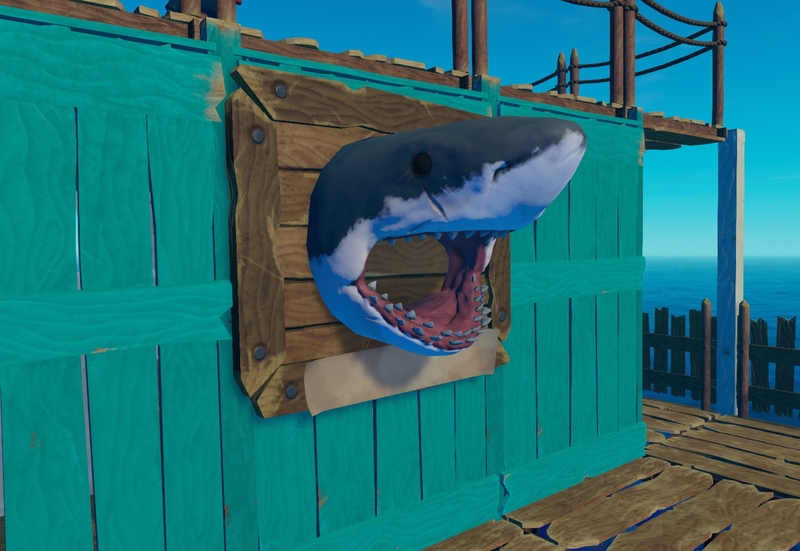 The shark trophy! Raise (or lower?) the sails! As you might know by now there are islands and reefs waiting for you to scavenge them. They’re out there, breaking the silhouette of the big blue, but how will you get to them? Unless you’re lucky enough to drift right into one, you need to take matters into your own hands and steer your raft towards your goals. You have a paddle at your disposal, but is paddling really a worthy way of captaining your floating home towards riches? No, I didn’t think so either. What you need is a sail! Take aim and graciously cruise towards your next destination! Well folks, that’s all for this time! We wish you a nice weekend and we’ll talk to you soon! I can not wait!! I’ve loved this game from the very beginning and it’s only getting better! I’m curious to how long it will take until you reach the island on the horizon, in-game hours, days or weeks?? artık bekleyemiyoruz ortalama fiyatı kaç para olucak. biliyosun türkiyede en önemlisi fiyatı. 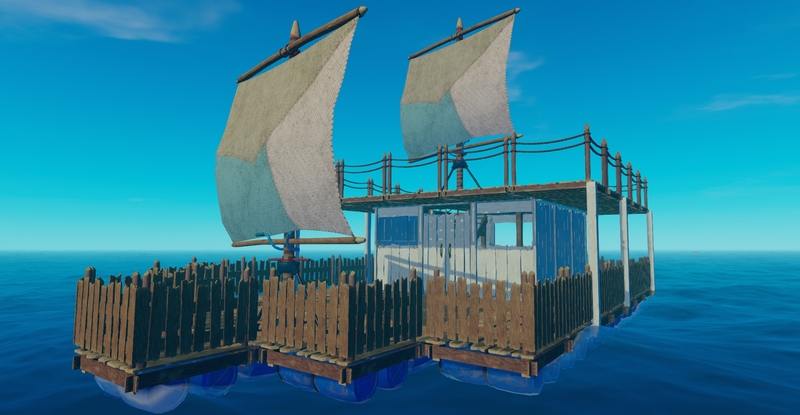 Will we be able to color these sails? Längtar skit mycket tills det släpps!! Försöker själv göra spel och önskar er lycka till! Fortsätt med det bra jobb ni gör!